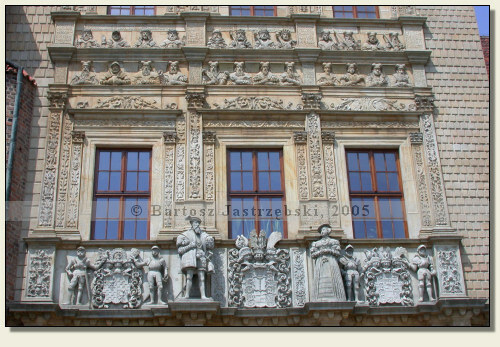 Brzeg lies by the border of the Lower Silesian and Opole Provinces. 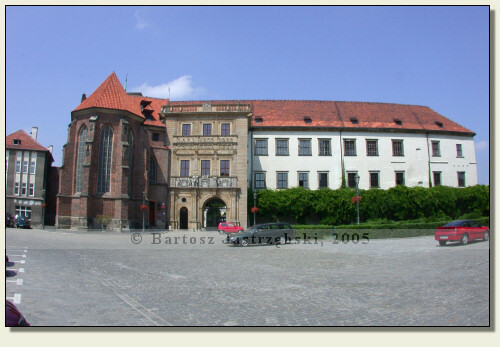 As to find the castle you need to enter the town down the road no 39 (from the south from Strzelin, and from the north from Namysłów) and following it, make for the center. The castle stands by the main road. 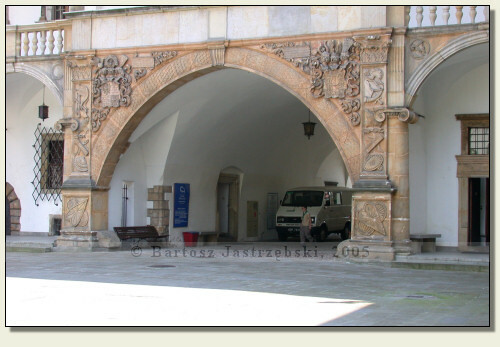 The town of Brzeg was located in 1245, however, already 10 years earlier existed a princely court there. 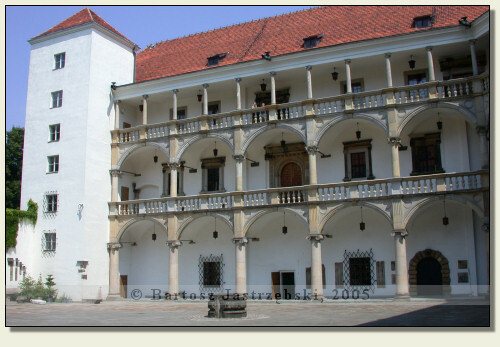 Around 1300 the castle was built, which in the years of 1311-1675 was the residence of the dukes of Brzeg-Legnica. The first rebuilding of the stronghold took place in 1342 and since then the castle was rebuilt in nearly every century. 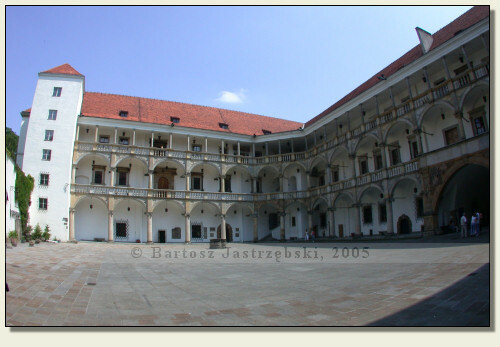 In 1741 the building was destroyed by the artillery of the Prussian armies, and its ruin deteriorated under the Prussians’ rule, who were using the castle as the military warehouse. The fire from 1801 completed the act of destruction. In the 20s of the XXth cent. 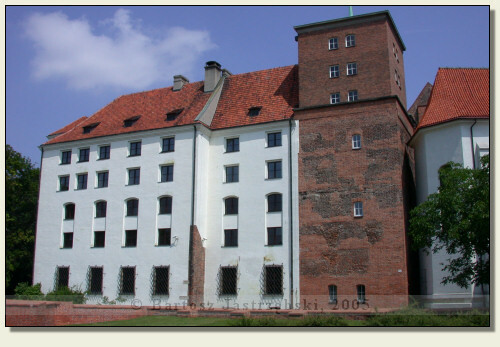 the warehouse was liquidated in the castle and was begun the reconstruction, which thwarted the destructions from 1945. Only the restoration works from the years of 1966-1978 as well as 1980-1994 brought back the Renaissance appearance to the castle. However, it failed to determine what it looked like in the Middle Ages.